Not all pop musicians are made alike. Thank goodness for the weird ones. Here’s a list of the ladies that gladly make what they want, whether it’s a night of dancing on the town or sulking in the dark corner of your bedroom. 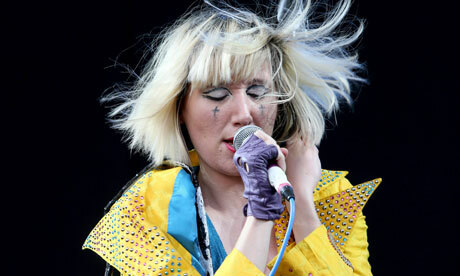 Karen O is clearly a badass. I love how she can be both vulnerable (“Maps”) or aggressive (“Date with the Night”) with ease. “Zero,” taken from the album It’s Blitz, is a departure from the Yeah Yeah Yeahs’ edgier, more punk output earlier on, but clearly Karen O is having a blast. Her outfits are proof. On the surface, Annie Clark’s work seems like breezy pop/rock songs, but digging deeper reveals rich textures and an underlying edgy tone that isn’t found in the majority of modern pop music. Go take a listen to her new self-titled album via NPR if you haven’t already. Juxtaposition is what Sleigh Bells is all about. What other band can say it is comprised of powerful 1980s metal guitars and sugary pop choruses? Singer Alexis Krauss doesn’t have the most impressive vocal abilities, but her ability to intersperse sweet coos with shouts and chants sets her apart. Oh do I love Shirley Manson. She’s one of the first women that showed me female-fronted bands can indeed be cool (I’ve usually preferred male vocalists). Though her music can be described as rock, there’s always a pop element to it, and Shirley Manson has an effortlessly cool style and demeanor. I’ve always felt Natasha Khan has a certain mysterious quality about her. Much like Florence Welch, she creates baroque pop that often incorporates a hint of mysticism. Okay, maybe more than a hint. Lizzy Plapinger’s voice is so unique. Her powerful, husky tone compliments MS MR’s dark indie pop. The debut album Secondhand Rapture is one of those albums for which you won’t feel inclined to skip a track. Goth culture has found a new inspiration. Wolfe’s somber music and visuals are hauntingly atmospheric. Too bad she isn’t more popular, because there’s such a breath of fresh air to her approach. Claire Boucher’s angelic, wispy voice layered over many, many vocal tracks and synthesized sounds didn’t immediately engross me, but take a few listens and you’ll start to realize just how smart and layered her records are. This talented trio of sisters have soared in success since the release of their debut album Days are Gone in 2013. 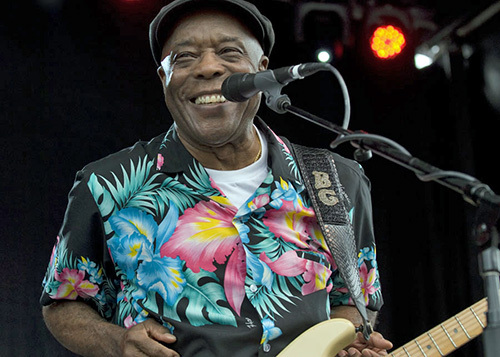 R & B, soul, modern pop, and classic rock are all sprinkled within the catchy record. Somehow it all works. Countless artists have been inspired by her, but Iceland’s most popular musical export is in a league all her own. 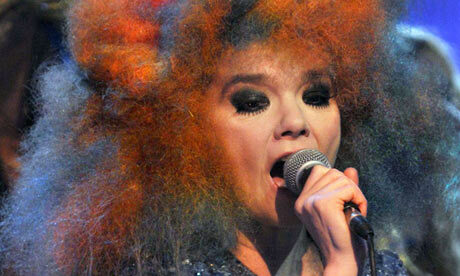 Raw yet sentimental, Björk’s otherworldly voice and music has opened up the genre of pop in a whole new way. Though not as well known as most of the artists on this list, Gemma Ray is a British singer/songwriter that has released several albums evoking a 60s pop vibe for the modern age. Considering she collaborated on a single with Sparks, she’s the definition of quirky. That powerhouse voice Florence Welch has can wail about anything and make it sound spectacular, but Welch’s lyrics also separate her from the overtly saturated pop genre. She sings about everything from ghosts to mental breakdowns, yet somehow manages to keep it all sound sweeping and beautiful. This playlist just needs to end with a classic. Besides Stevie Nicks’ wild lifestyle back in the day, there’s actually good music there too! Nicks’ vocals are unlike any other, and her style of long flowing garb has inspired many (including the aforementioned Florence Welch. It was 80 degrees outside today, so I’m not sure that this playlist actually compliments the climate I’m in, but for those who are already experiencing snow or want to pretend you are, here is a playlist for you. Some of these songs don’t include any references to snow or wintertime (and I promise- very few references to Christmas), but it’s a nice collection of melancholy and delicate. A few of the music videos for the tunes also align with the theme. Click here to listen to the playlist! That infamous “Ahhaahhhhh…ah!” gives this such a primal feel, it belongs to scenes of hunting in the fierce winter winds of… England? Also, Trent Reznor, Atticus Ross, and Karen O did a fantastic cover version for The Girl with the Dragon Tattoo soundtrack. Megan White was never the focus of the band, so it’s nice to see her take the spotlight and sing this simple, slightly bluesy track. Eddie Vedder has a great voice and all, but he must be one boring Christmas buddy. Anyways, here’s a rarity from their Lost Dogs two-disc collection. It is just such a beautiful, breathtaking song. Sigur Rós are one of those bands that make mesmerizing music videos that compliment the music- “Glósóli” included. I always imagine a visual of New York City on a chilly evening when “Untitled” is playing, or maybe just a crowded subway and people pushing each other during rush hour. The whole debut album by Fleet Foxes could be applied as sounds for winter. However, this one doesn’t just mention the season in the title, it also perfectly fits the mood of wintertime forests and cabins. They probably wouldn’t get away with those hairdos in the music industry now. Leave to Simon & Garfunkel to create an upbeat tune about dreary winter weather. However, it is a beautiful song, and shows off their famed songwriting prowess. Go ahead haters, hate away. I like this album and I shall listen to it anyway. The Duke Spirit are an underrated British band led by the smoky vocals of Liela Moss. They even opened for Jane’s Addiction this year. A beautifully arranged song about gradually losing sanity. I wouldn’t expect anything less from Florence Welch. There’s a U2-ish quality to this building track, whose video perfectly correlates with the theme. Are there any other songs I should add? Just let me know! A playlist for the rest of us. 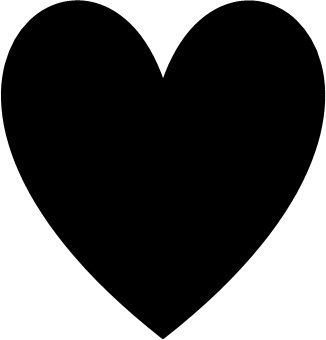 Ahh, Valentines, the time of the year I find myself eye-rolling the most. For some, it may be more about sobbing or feeling lonely, but no worries. Here’s a playlist of songs to remind you of how awful you feel! This is part one of the playlist. Yes, I am a pessimist. 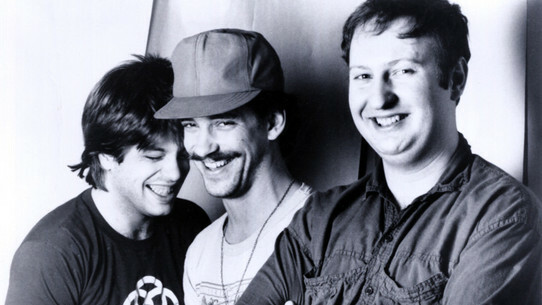 If you don’t know about the influential band Hüsker Dü, please listen to Candy Apple Grey right now. This song is in the middle of angry and happily independent. The lyrics appear to be resentful, but the music isn’t as dark. Led Zeppelin…isn’t that reason enough? 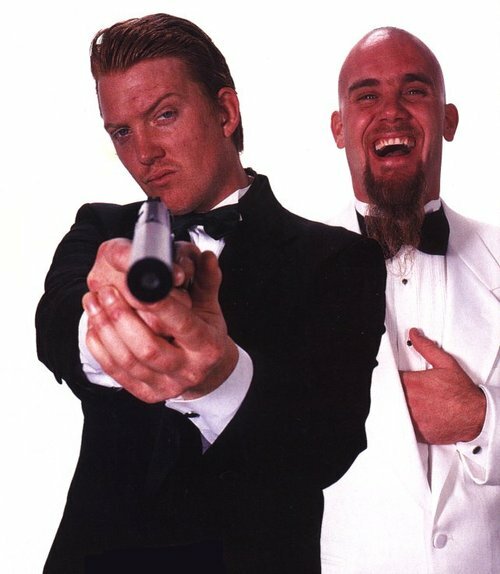 Please make a Josh Homme/Nick Oliveri spy movie! Yes, I included a Linkin Park song. Don’t judge me! I have to occasionally relive my middle school years just like everyone else. An obvious but fantastic nod to the guitar genius Tom Morello from Rage Against the Machine, “Hyper Music” doesn’t seem to have aged much over the course of more than 10 years. David Byrne sounds somewhat like a jerk if you listen to the lyrics, but it is David Byrne we’re talking about, so you never know what’s going on in that arty head of his. There’s no way I can play this song without a smile on my face. This song may not necessarily be about a romance, but it’s still applicable. The Foo Fighters will always be one of those bands that bring back good memories. Dance beat, Jenny Lewis’ sweet voice, and liberating lyrics…not all breakup songs are sad! I’m not a huge fan of Lily Allen, but she does know how to create music that is equally acerbic and upbeat. What are the lyrics? I don’t know, but it sounds nice! 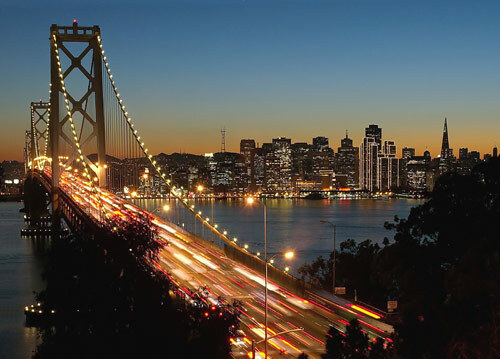 Since I will be on my way to San Francisco throughout the Christmas holiday after this semester is (finally) over, I have decided to put together a playlist of songs that mention San Francisco, whether it’s in the chorus, song title, or just one verse. The songs in the collection are quite varied. There’s anything from blues to punk rock, but isn’t that the fun of mixes anyway? Click here to listen to the playlist. Unfortunately, 8tracks wouldn’t allow me to add The Mamas & the Papas version of “San Francisco” since I didn’t have the album title labeled, so here it is for your enjoyment. I personally like it just as much as the original Scott McKenzie version. Besides being an exhausting title, this track can also be noted for the beautiful melody. Once it’s stuck in your head, good luck getting it out. You’re welcome. The Replacements certainly had an affinity for humorous lyrics. 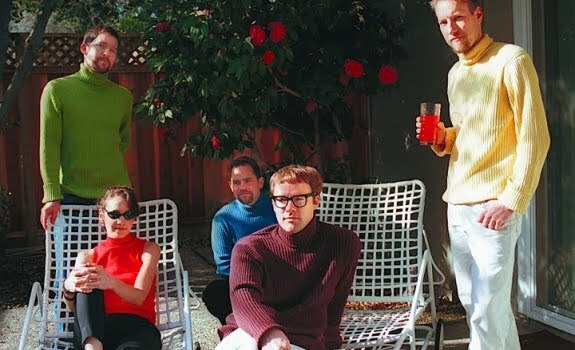 This band, along with R.E.M., introduced me to the plethora of fantastic music known as the ’80s underground (college radio!). I honestly had no idea what “they both went down to Frisco, joined the SLA” meant. After looking it up, I discovered that it was referring to the Symbionese Liberation Army– the militant group that kidnapped Patty Hearst in the ’70s. Who says you can’t learn anything productive from punk music? It’s not really a popular song, but it has a laid back feel that (I assume) fits the vibe of San Francisco. Ironically, they will be performing in the city while I’m visiting. Veedon Fleece is an underrated album, and Van Morrison is an underrated artist in general. His songs have always been able to capture a mood or moment perfectly through both lyrics and vocal styles. “Linden Arden Stole the Headlights” is about an Irishman living in San Francisco. It doesn’t exactly end up well. Is it possible to not love Tony Bennett? I’m not a big fan of crooners, but something about his music just makes me all smiles. This song is an official song of the city, so others must feel the same way. Believe it or not, this Red Hot Chili Peppers song is about drug use. Who would have thought! The beginning is quite odd, and if you’d like to get on to the headbanging, skip to 1:40. Flea does some strange singing near the end. Let’s all be happy he’s an excellent bassist. Always writing songs with a wink, the Arctic Monkeys poke fun at an imaginary British band trying too hard to relate to American culture. If Ray Charles and the blues were mixed together, it would probably sound very similar to this. I love the female backing vocals as well .No one has ever sounded quite like him. 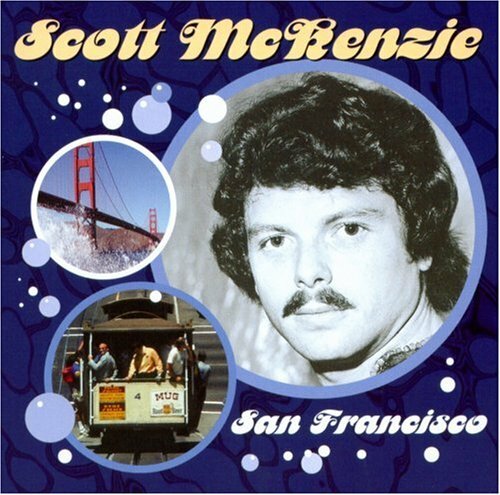 Maybe there are 20 songs about San Francisco that he made, but I wouldn’t know since he made over 100 albums! It’s a fairly simple acoustic song with baroque leanings. Colin Meloy’s voice is very unique, and allows the song to stand out a bit more. Just don’t listen to it if you’re sleepy (unless you are wanting to go to sleep). Why does the album artwork from the '60s always look so cool, and why did it take me so long to realize he wasn't singing into a tennis ball? I saved the best for last. This song paints a picture of the bay so beautifully. I can’t really even describe why it’s so good, because it really isn’t a complex song. 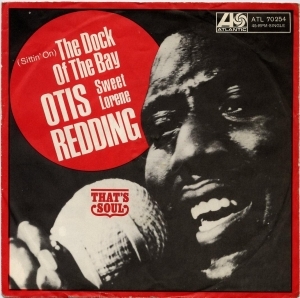 It’s most likely because Otis Redding’s voice exudes soulfulness. He could sing about a sandwich and make it emotional. If anyone knows of some other fine tunes about San Francisco, let me know!